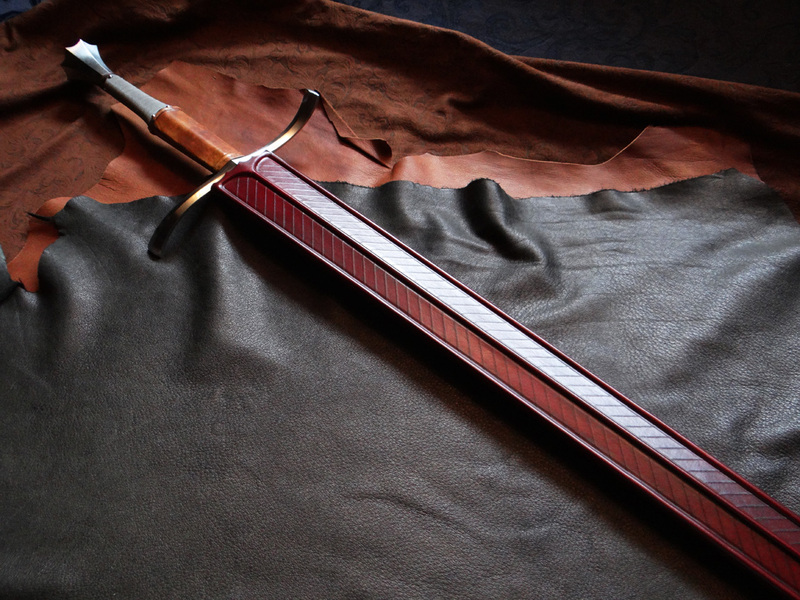 DBK custom scabbards begin with a handmade poplar wood core, wool lined, and lacquered for protection from moisture. 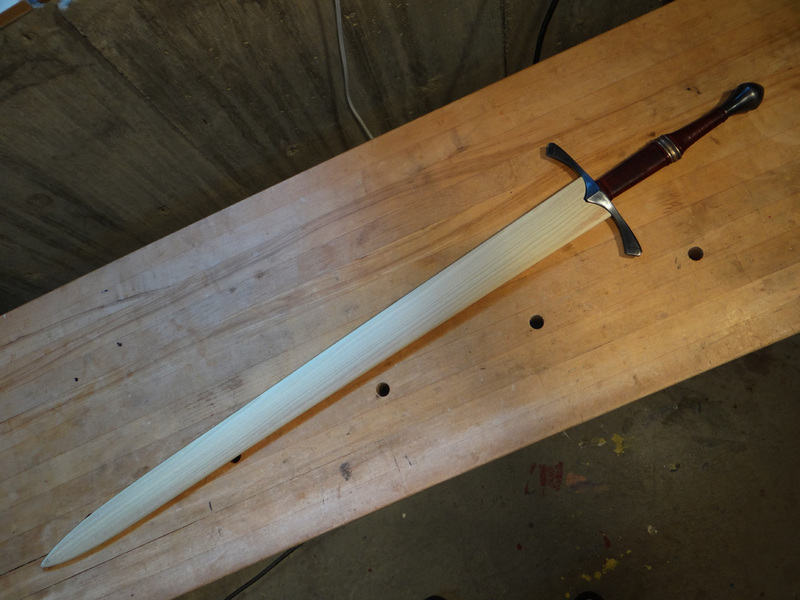 The core is custom sized & shaped inside and out to the individual sword for a precise fit. 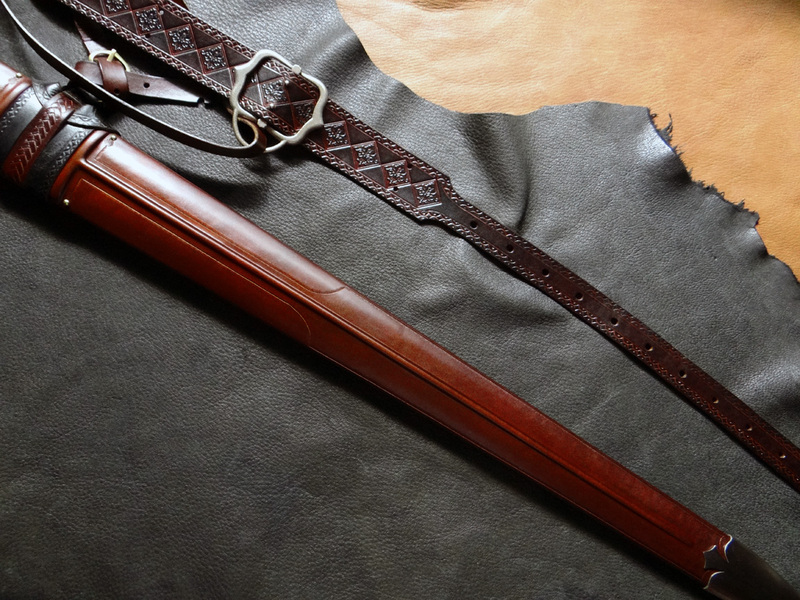 All of our high-end scabbards are diligently crafted for a smooth draw & sheathing of the blade, every time. The premium oak tanned leather is carefully measured to size, with each detail taken into consideration. 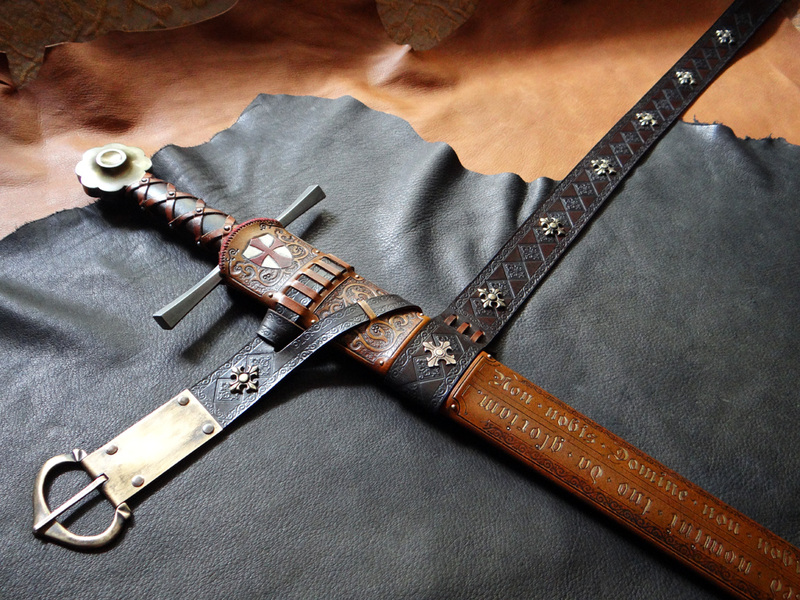 We also hand-stitch all of our work for a historical look & feel. Dye colors are applied via a multi-step process to assure of a smooth transitional blending of color. 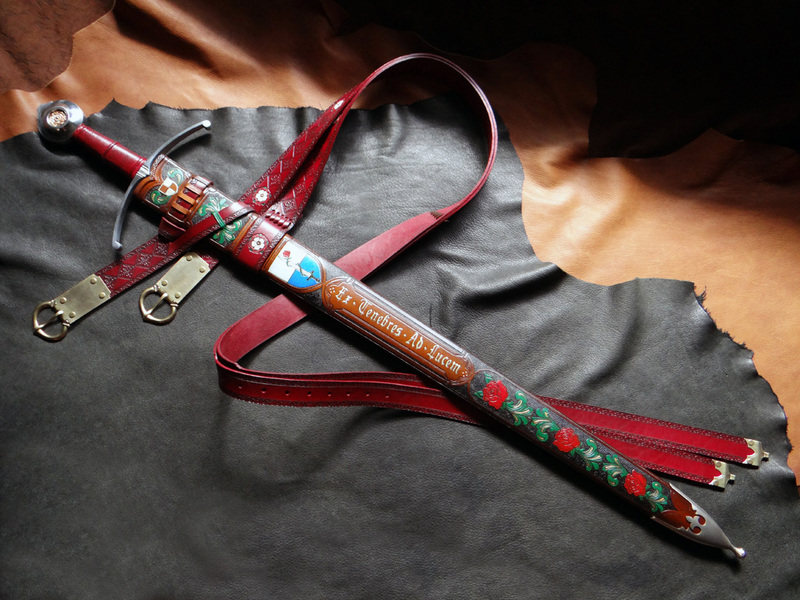 The end result is a stunning and artistic scabbard to compliment your sword in a historic fashion. 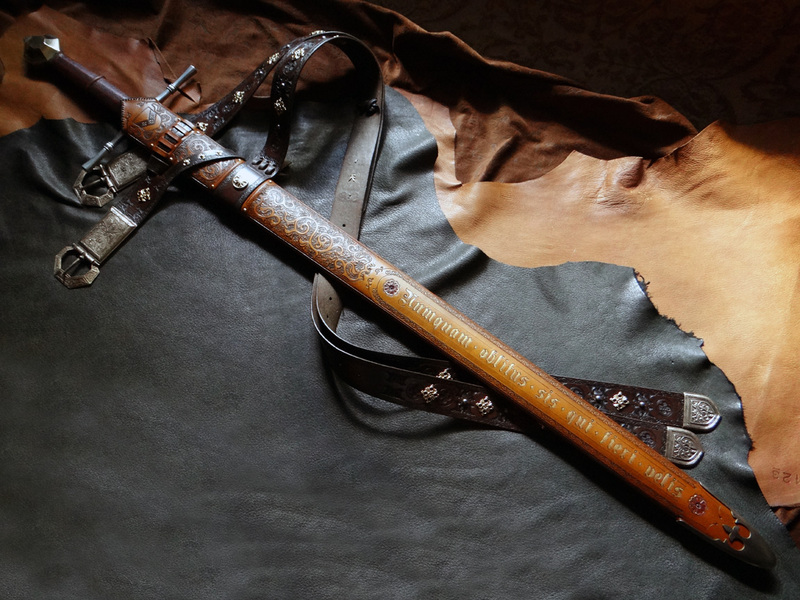 The finest finished leather is a DBK standard. 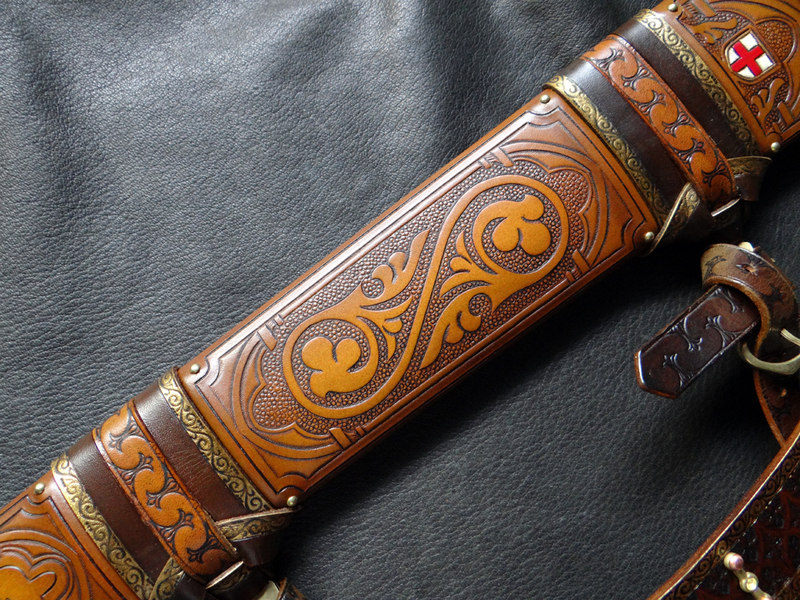 Made to order wood core scabbards for storage, safe keeping, or scabbard projects. 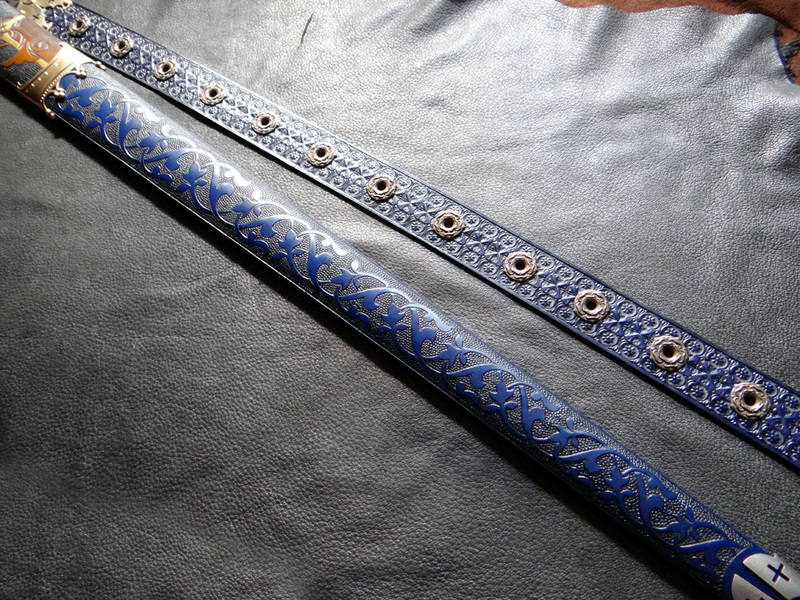 This option is for a wool lined poplar wood scabbard only. 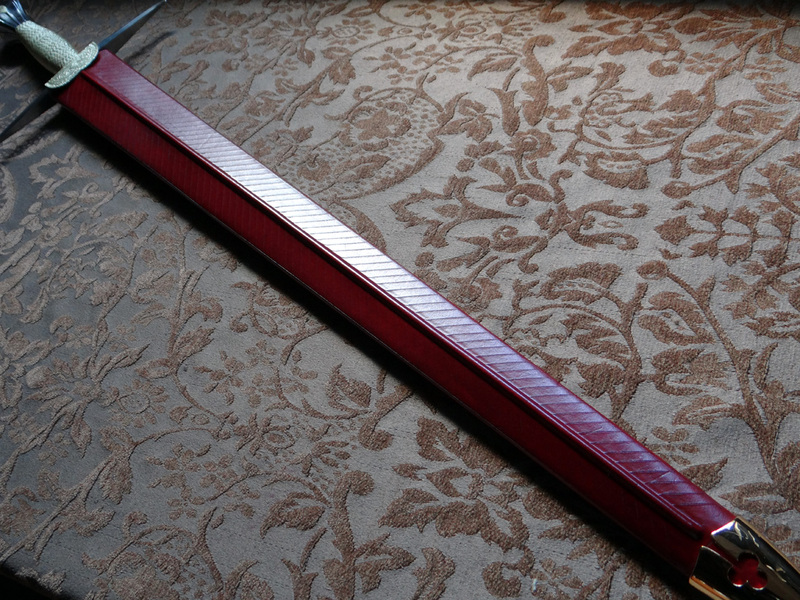 - A handmade custom fit lacquered wood core. - Natural felt wool lining for a smooth draw, and a protective fit. - Please note: Complex builds will incur an additional charge. 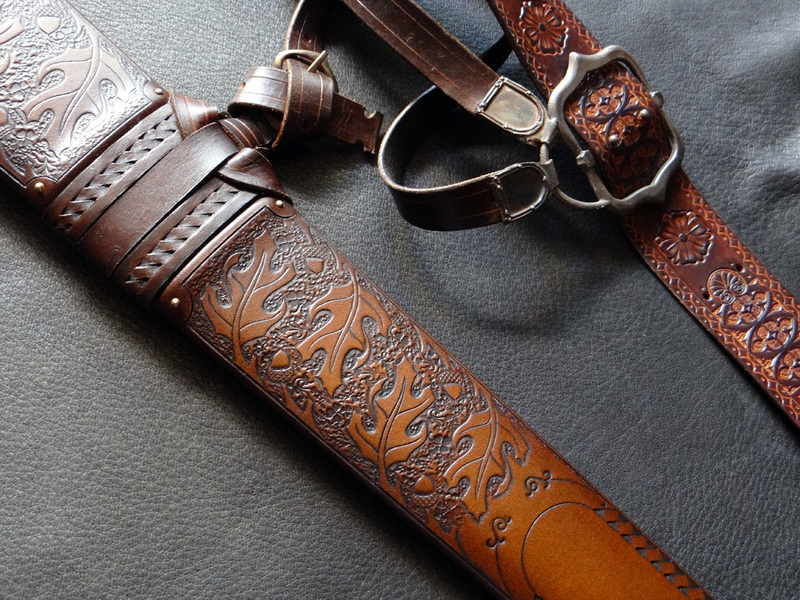 Our high-end custom scabbards are built using the highest level of attention to detail. 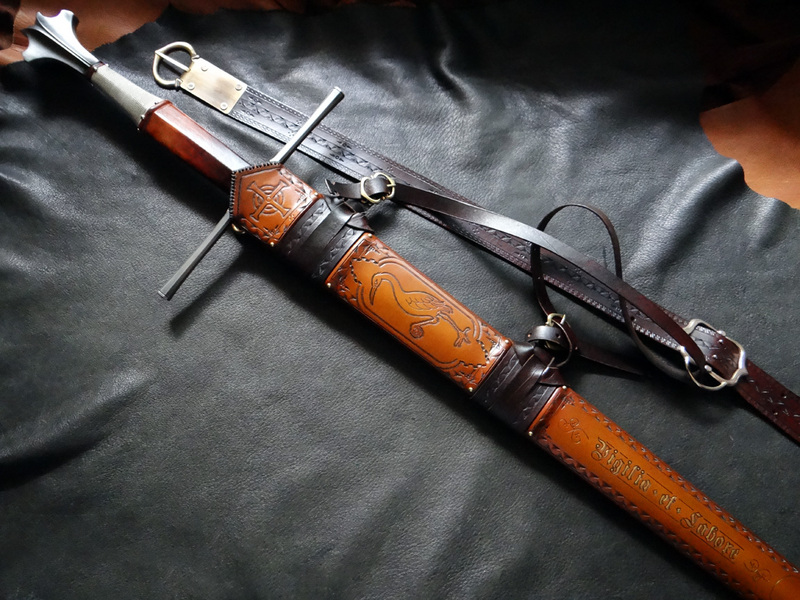 Below is our list of options to further add to your scabbard. These options are in addition to, and are not included in the starting price. The links (in light blue) in the options list below are examples of our work, and are not necessarily your only style option. 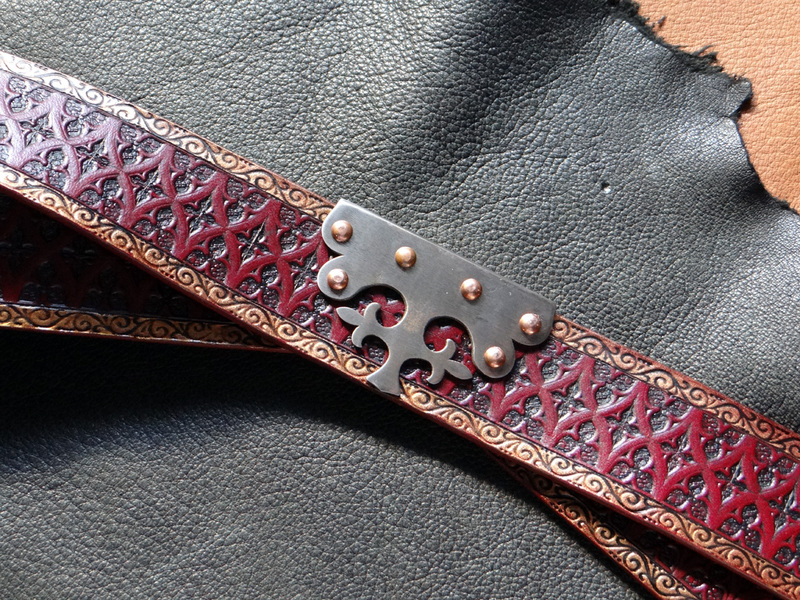 Feel free to inquire about custom options in various styles. 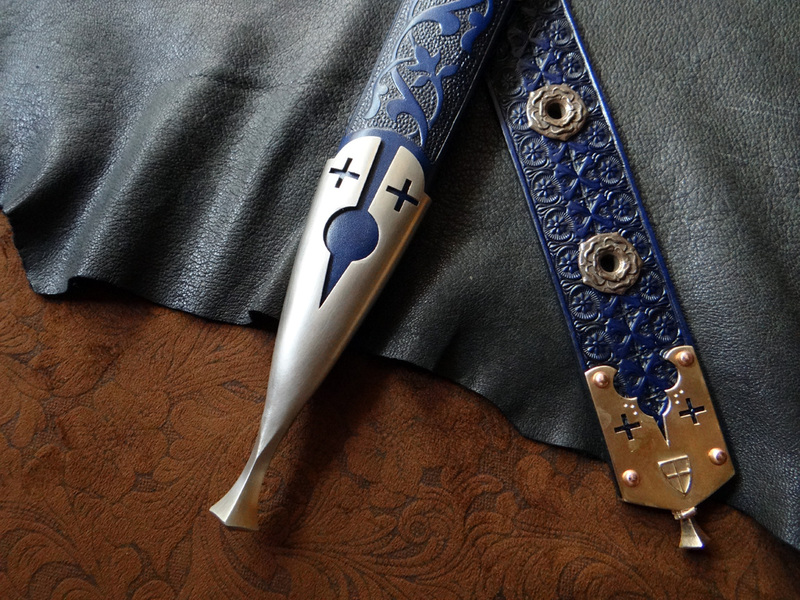 - Metal Chape (scabbard tip) - Click here for variations. Custom chapes can be made as well. 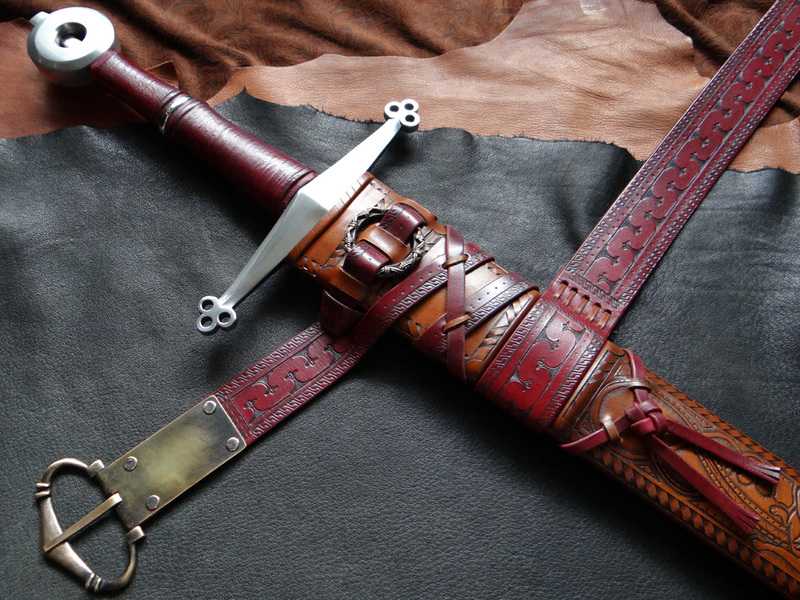 Colors - Dying leather is an art, not a science. Variations in materials, conditions and artist touch will have a direct effect on the results. 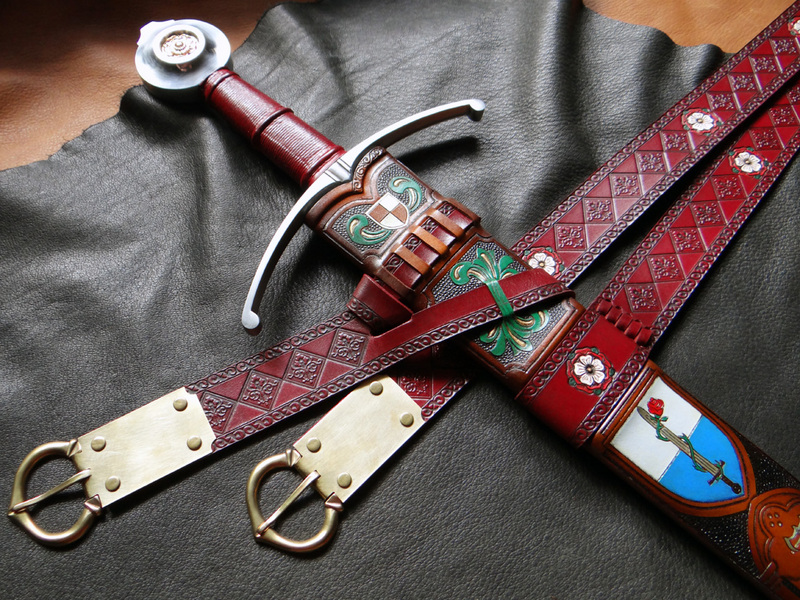 No two leathers will always accept dye with uniform results. 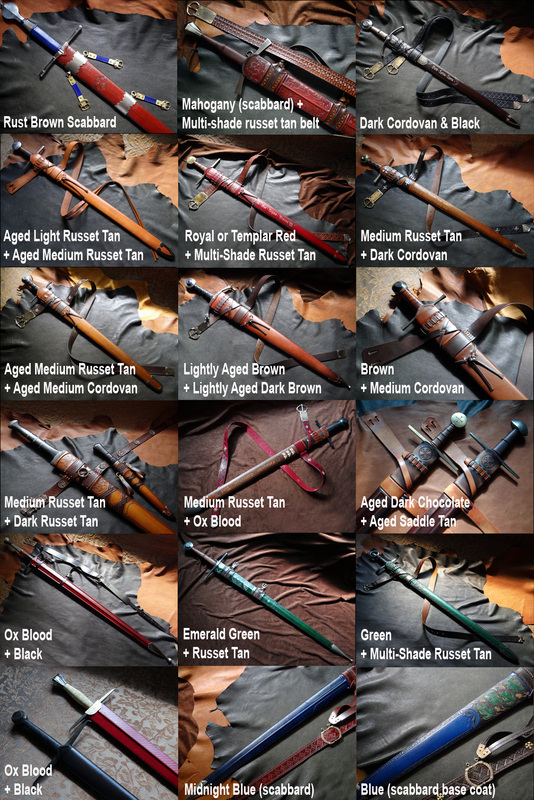 This color chart should be used as a guide as much of my work is custom, and sometimes artistic drive takes the moment as I color. Duplicating a previous effort can be difficult, but will be close. I like to look at each project as a unique one with color choices being a guide. 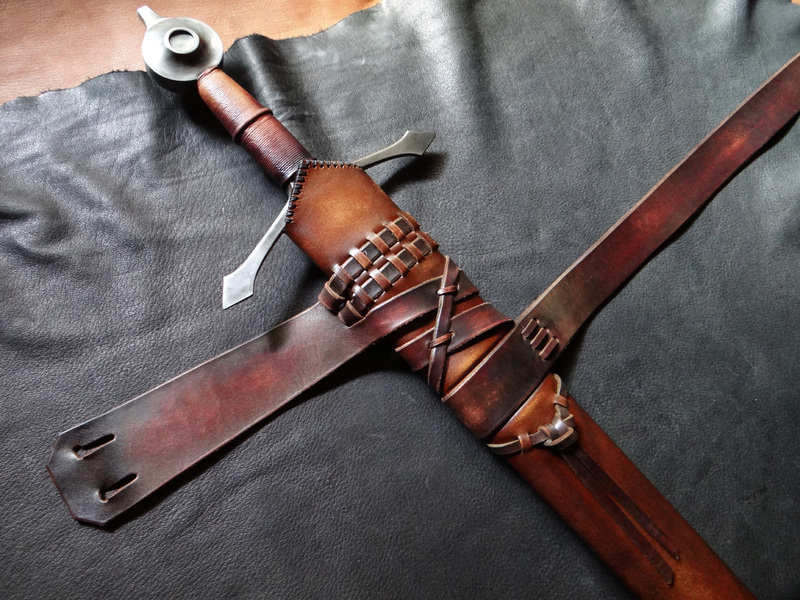 Because when I start the process and determine how the color is being accepted by the leather, my artistic side takes over and I develop the color through technique to it's final look. 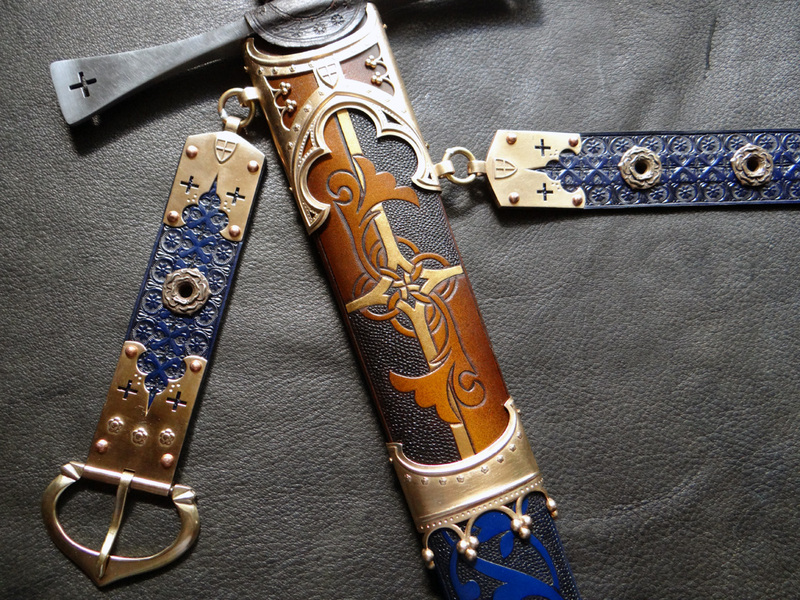 Custom work will vary in price, please contact us for a quote on your custom scabbard. 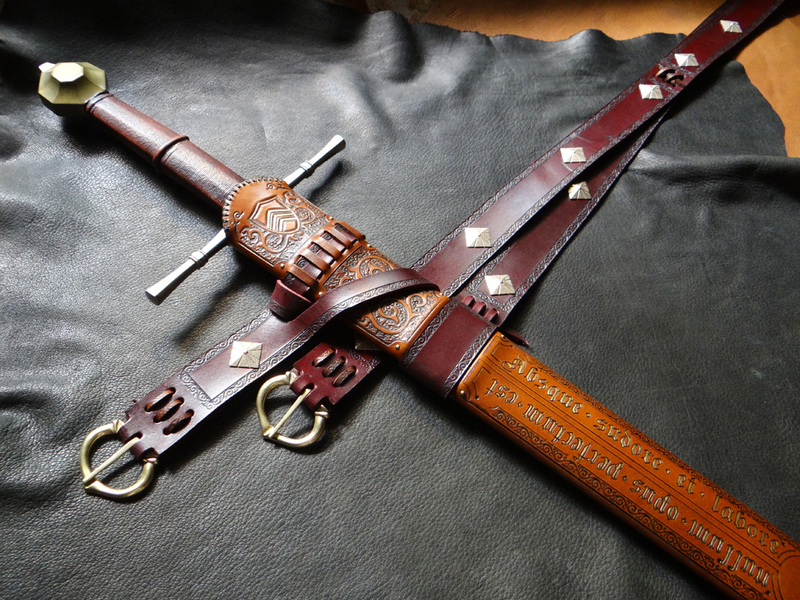 Why go with a DBK custom handmade scabbard? 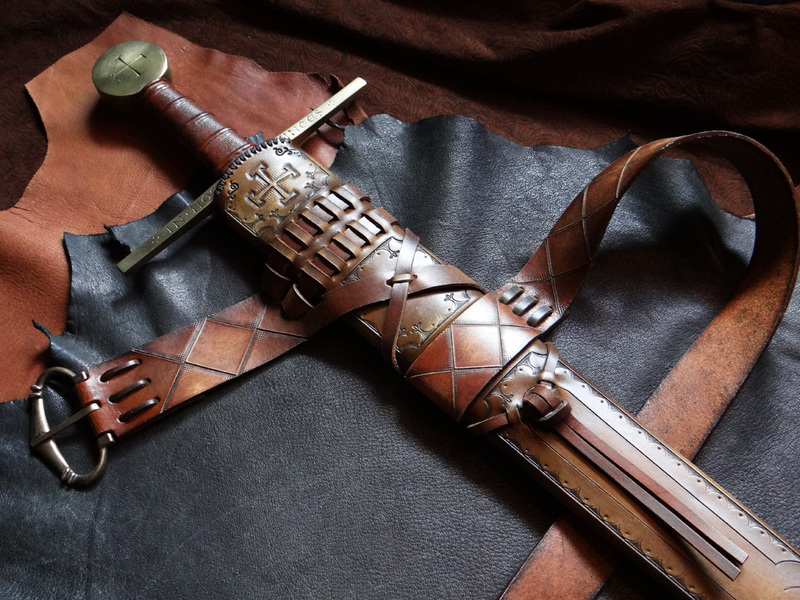 Each scabbard is individually planned and put together by hand using traditional historic methods, including a hand-stitched seam up the back, and not glued or machine done. 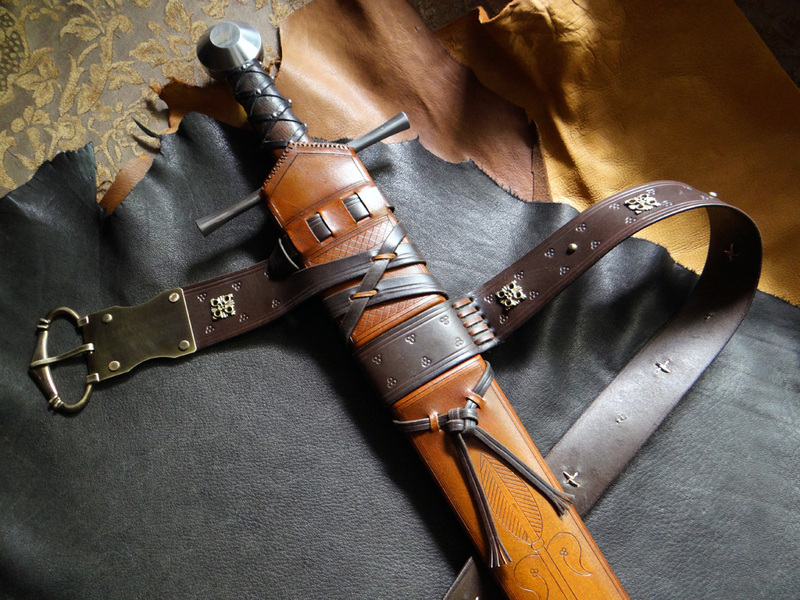 The design, detail, and leatherwork that goes into each scabbard is unique to the individual commission, and not mass-produced. 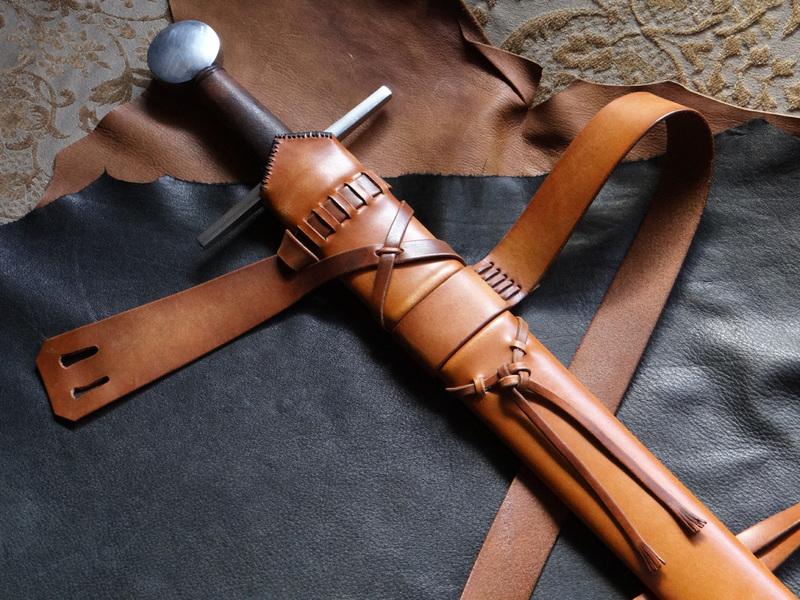 Every step is carefully considered for the functionality & aesthetic outcome, including the draw, sheathing, and angle the scabbard will hang from the hip. 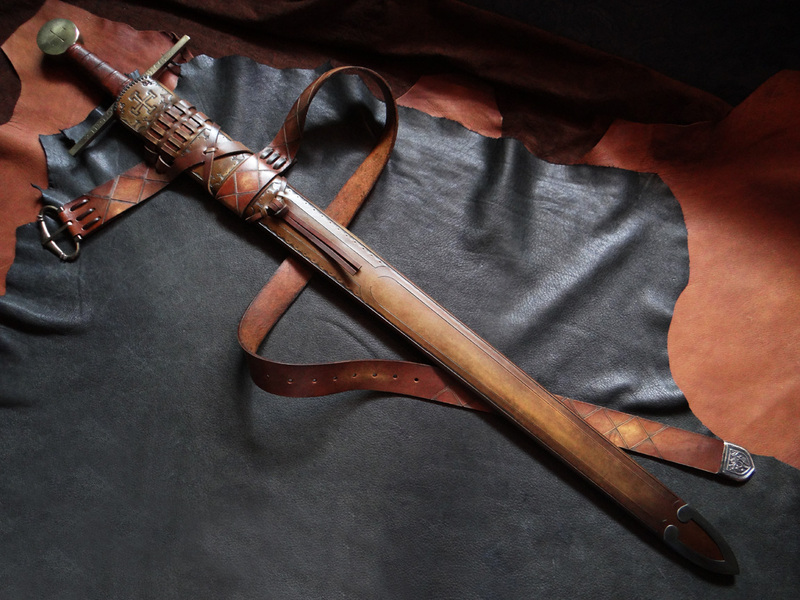 In short, we consider each scabbard an artistic project and take great pride in each and every one, one at a time. It's all in the details - The DBK Philosophy. 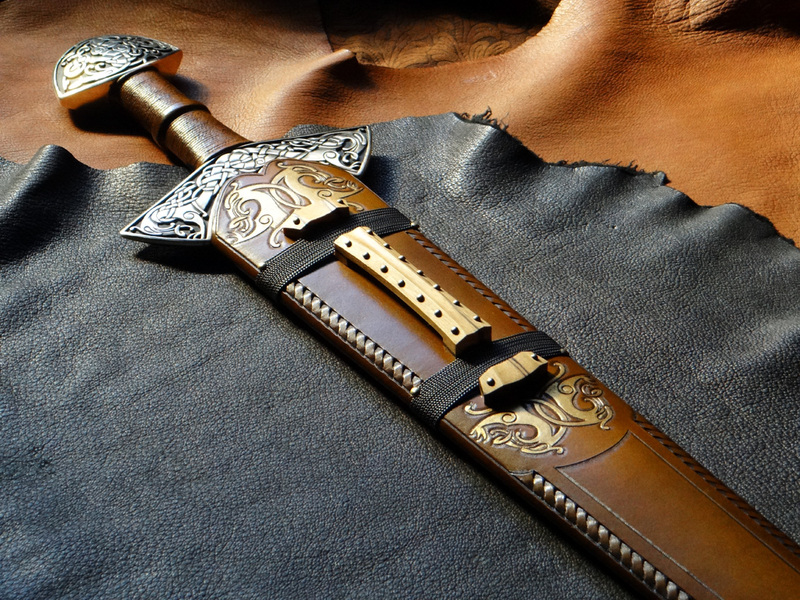 Click here and read about what makes a DBK scabbard, well, a DBK! 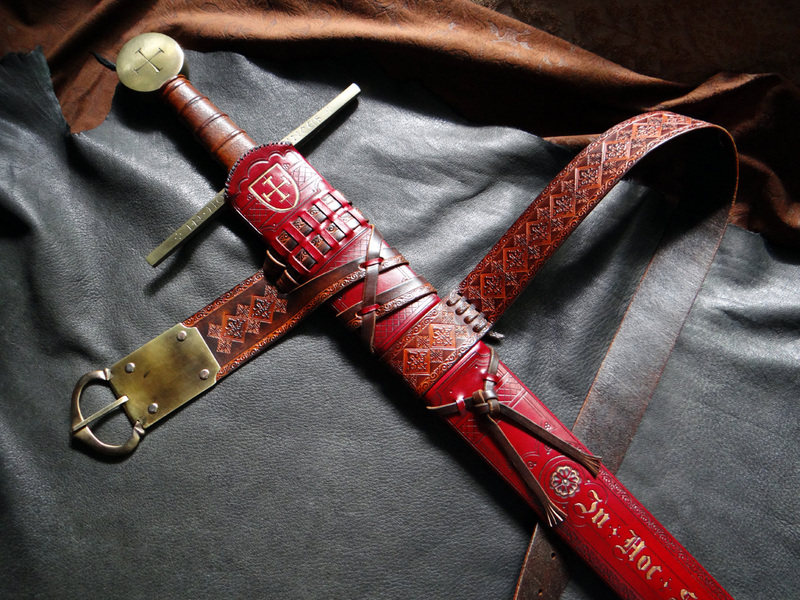 Then the king looked upon the sword, and liked it passing well. 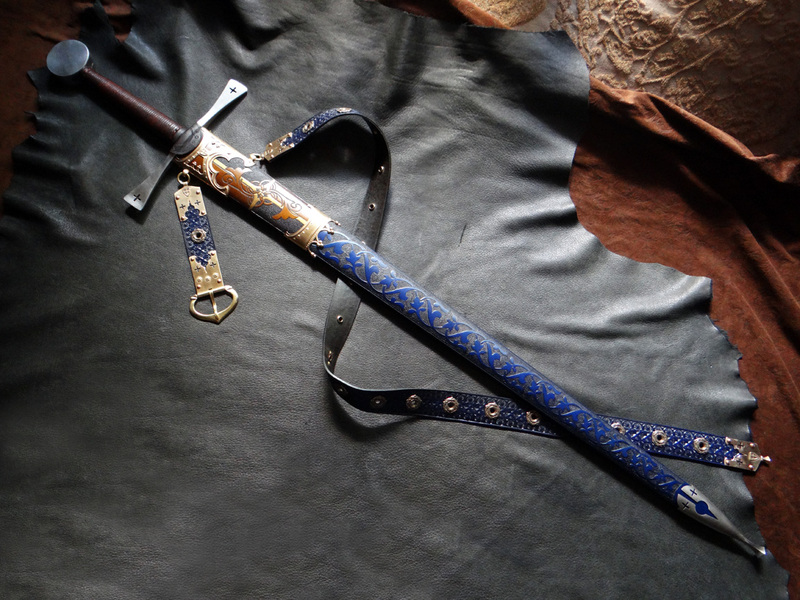 "Whether liketh you better," said Merlin, "the sword or the scabbard?" 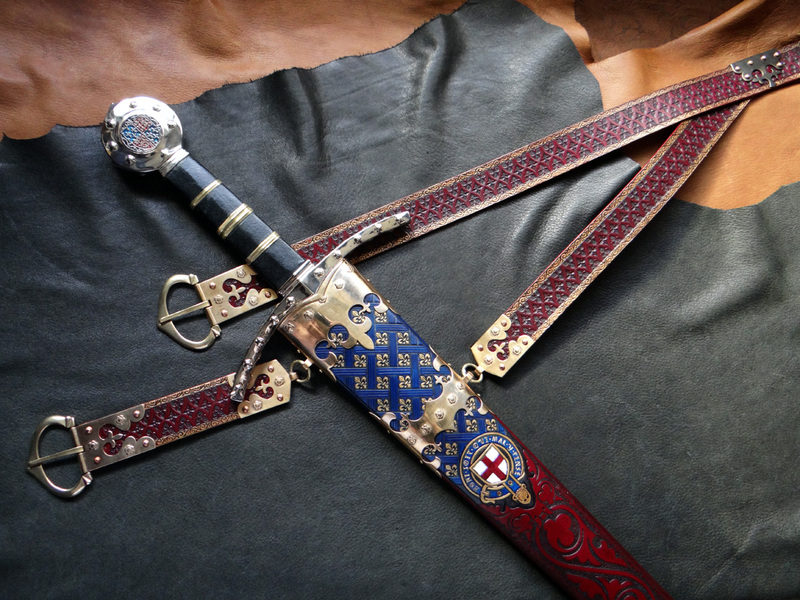 "Me liketh better the sword," said King Arthur.�"Ye are more unwise," said Merlin; "for the scabbard is worth ten of the sword; for while ye have the scabbard upon you ye shall lose no blood, be ye never so sore wounded ; therefore keep well the scabbard alway with you."